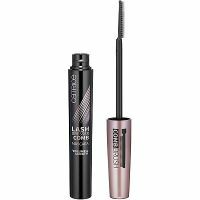 I love the curl this mascara gives my lashes, and it really does give my lashes volume, length and definition. Still, it takes a light hand -- if you press too hard, it's clump city. Still, the learning curve is worth it, because it really defines and curls well, and it doesn't smudge at all.